Wow, did I enjoy this interview. 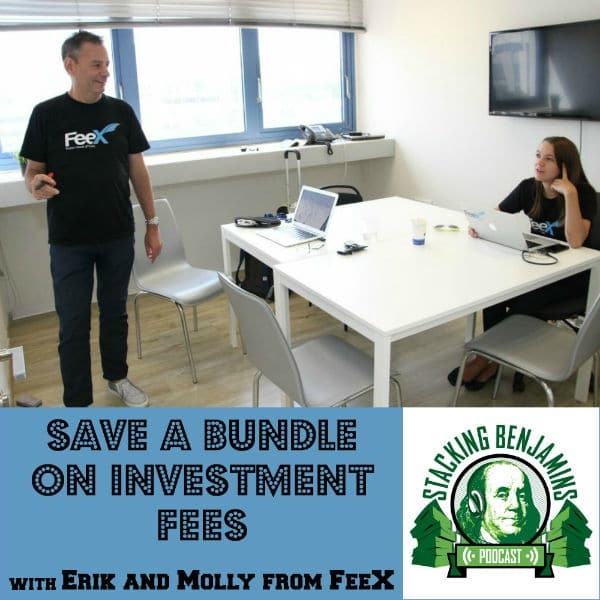 Erik Laurence (Chief Marketing Officer) and Molly O’Brien (Community Manager) at FeeX (the sister company of the people who brought you the uber-awesome Waze app) join Joe in the basement to talk fees. Think this is a little problem? Think again. Molly describes how in one easy example someone saved over $200,000 in fees over their lifetime just by paying attention to investment fees. We’ll tackle retirement plans, mutual funds, trading fees, 12b1 fees and other expense ratio fees, annuities and more. <> StackingBenjamins.com/Amazon – use our handy link to head to the same Amazon site but also help us keep podcasting! (Amazon sends us a referral fee if you use our link to get there).